The good news for Brazil's left ahead of October presidential elections is that its biggest candidate, Luiz Inacio Lula da Silva, easily leads the polls. The bad news? He's in prison. This bizarre situation leaves the once mighty Workers' Party in a state of turmoil over how to approach the October 7 vote. A Datafolha poll on Wednesday confirmed that Lula's popularity is in no danger of deflating as the election nears. In fact it has risen from 30 to 39 percent since June, 20 points clear of the nearest rival, right-winger Jair Bolsonaro. "The people want Lula," the Workers' Party, which he founded and brought to power in his 2003-2010 presidencies, proclaimed. Do they really, though? Polling numbers are not quite as clear on closer inspection. Lula gets much of his backing from so-called spontaneous support, which reaches 20 percent of those polled by Datafolha. Bolsonaro got 15 percent spontaneous support, while none of the other candidates got more than two percent. Lula, who has been a major political figure in Brazil for decades, as well as the subject of a long running corruption saga, is already well known, while many of the others running have only just started their electoral campaigns. Bolsonaro, notorious for his statements on women, gays and approval of Brazil's 1964-85 dictatorship, has milked the old showbiz maxim of there being no such thing as bad publicity. Crucially, 41 percent told Datafolha they were undecided. "Lula is growing thanks to his brand... (and) because most of the other candidates are not known," said Jason Vieira, from Infinity Assets consultancy. Lula, whose two terms were followed by the consecutive elections of his protege Dilma Rousseff, "has dominated the political panorama for 20 years or more," said Jose Augusto Guilhon Albuquerque, professor emeritus for international relations at Sao Paulo University. "When he's not present, the electorate becomes very indecisive." In addition, even if Brazil appears deeply split to the left and right, Lula's presidency is largely remembered for its economic growth and successful programs to reduce social inequalities. At a time of economic disarray, the Workers' Party slogan of "Lula for president, so that Brazil can be happy again" resonates. The twist, however, is that Lula is serving a 12-year sentence for corruption. His lawyers, with some backing from foreign human rights bodies, argue that he should be allowed on the ballot. But the decision will be up to Brazil's Supreme Electoral Tribunal -- and there is little hope of a positive response. If he cannot run, as seems likely, will Lula simply bring supporters to his vice presidential pick, ex-Sao Paulo mayor Fernando Haddad? It's not so sure. Datafolha found only four percent support for Haddad, while 31 percent of voters said they'd follow a candidate just because he or she had been endorsed by Lula. Haddad's path is arguably complicated by Lula refusing so far to get out of the way and make him the designated successor. An earlier rolling out of the Haddad candidacy "would have given him very good chances," said the academic Ruy Fausto, author of "Paths of the Left." 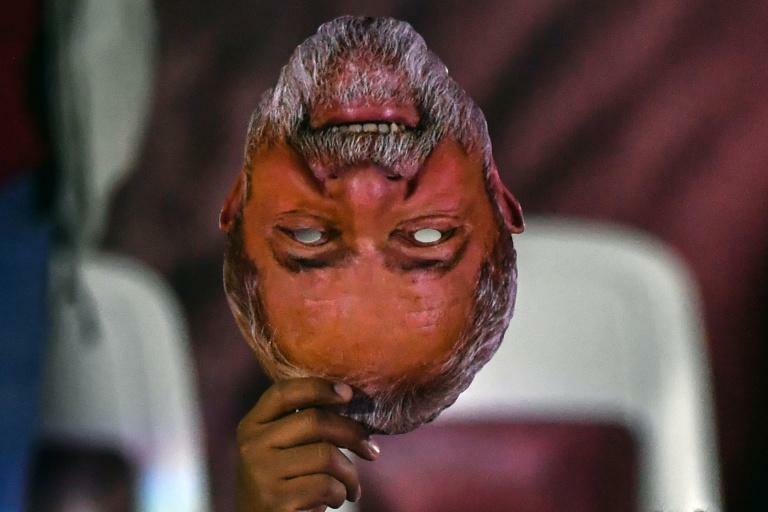 Lula's standoff with the courts and looming presence in the opinion polls puts the whole election on an unsteady footing and angers others on the left. Marina Silva, an ecological campaigner and former Lula minister, criticized the impasse. "No one is above the law," she said. "There are only a few days for the electoral process to be finalized and we're still in a situation that makes it much harder for voters to choose." Another leftist ex-minister running for the presidency, Ciro Gomes, accused the Workers' Party of acting as a spoiler, "because everyone knows Lula will not be a candidate."